"A portfolio of one's professional past projects and experiences is certainly more meaningful and representative than a formal and tedious statement of qualifications and certifications, i.e. a curriculum vitae"
Last December, 2014, after several years of working in a mixed consultancy and research capacity, I finally managed to put together a PhD thesis that brings together insights from both worlds, combining participatory action research, institutional analysis and the case study method. In particular, my thesis deals with the institutional conditions for sustainability transitions in estuarine socio-ecosystems including nature reserves, with a focus on water management and wetland conservation in the Doñana region. More specifically, I focus on the need for more flexible, participatory and adaptive approaches for policy and decision making, to better tackle the uncertainty of our management actions on complex natural resources and ecosystems. For that purpose, I address three interrelated questions of research interest: (1) evaluating the usefulness of an action research program for introducing change in Doñana; (2) improving, through historical analyses, the understanding of the origin of certain institutional rigidities identified during the previous program, which were related to the well-known dichotomy "economic development" -agricultural in this case- vs. “nature conservation” -wetlands- (both highly dependent on water resources); (3) examine the historical role of entrepreneurship at both poles, as well as that of the hydraulic-regenerationist discourse of the beginning of the 20th century in its relationship with political-economic interests and power. The study of the historical origins of institutional rigidity is very relevant, for it hampers innovation and, therefore, could prevent potential transitions towards sustainability at present. In Doñana, in particular, the identified rigidities seemed to be preventing innovative advancements in the sustainable management of water for both socioeconomic development and wetland conservation. The action research program led to the collaborative development with stakeholders and decision makers, of a series of policy recommendations for improving water management and wetland conservation in Doñana and the Guadalquivir Estuary. The program was supported by preparatory research on adaptive management approaches in British Columbia (Canada), where they were designed and implemented for the first time at large scale during the 1970s. On the other hand, the historical analyses helped to identify three mechanisms that, in conjunction, explained the historical origins of institutional rigidity in Doñana: (1) the hydraulic-regenerationist discourse facilitating political and power mobilization top-down, and signalling increasing returns to local actors; (2) the self-reinforcement of the process at a local level; (3) an endogenous entrepreneurial component that acted as a mechanism for action in an environment of great uncertainty at both socio-economic and ecological level. The knowledge acquired during the investigation allowed the elaboration of a number of potential avenues that can facilitate the transition towards sustainability in the Doñana region. Kelp forests are key components of the Atlantic coast, contributing greatly to ecological structure and function by providing key ecosystem services. They are highly productive ecosystem engineers of rocky cold- and temperate-water marine coastlines, hosting a high diversity of species that includes fish, mammals, invertebrates, other seaweeds and epibiota. In particular, numerous species of fishes use kelp forests as feeding sites, nursery areas and shelter from predators. However, direct harvest of kelps, overfishing, pollution, diseases and climate-related factors may be causing the decline of kelp forests in several parts of Europe. While the conservation and sustainable management of kelp forest ecosystems may be a cornerstone for the fulfillment of EU policy obligations, such as the conservation and “good environmental status” guidelines provided by the Water Framework Directive, Marine Strategy Framework Directive and Habitats Directive, knowledge gaps and uncertainties currently limit our ability to optimize the management of these ecosystems. In such situations, Collaborative Adaptive Management approaches offer a particularly valid alternative to traditional approaches. By providing an active interface between policy/management and research, in which policies and interventions are designed as experiments from which to learn, adaptive management facilitates robust decision-making and eliminates the need to wait for the independent accumulation of scientific evidence. Last week, I co-facilitated a Workshop on the Adaptive Managament of Kelp Forests, in Porto (Portugal) at the Interdisciplinary Centre of Marine and Environmental Research, as part of the Marine Biodiversity case study of the KNEU Project. The latter is aimed at facilitating the flow of knowledge between biodiversity experts and users in Europe. During the workshop, the participants reviewed the existing evidence concerning the status, trends and ecological functions of kelp forests; developed collaborative models of the main policy/management actions required to achieve a commonly-agreed goal (the sustainable management of kelp forests); identified the main knowledge gaps and uncertainties under which current policy/management regimes must operate; and suggested a number of recommendations for future action. Economic development in Galápagos Islands depends heavily on the tourism sector. However, the archipelago is extremely fragile from an ecological standpoint. In this seminar colleague Cristian Cavicchiolo introduced the project "Sustainable Development of the Productive Sectors of Galápagos", funded by the Inter-American Development Bank and the Provincial Chamber of Tourism. The project aims at integrating of the main productive sectors of the islands as a strategy for strengthening the lower productive chains and increasing the equitable distribution of tourism revenue. The project is also expected to reduce opportunistic behaviour and the overexploitation of natural resources. Cristian also presented a pilot project aimed at increasing the quality of the tourism sector in the islands, an initiative aiming at coordinating the main national, regional and local administration in order to increase technical efficiency as a way forward towards sustainability. In this series of interviews the event's participants told us how they incorporate respect for the environment and sustainability in their organisational policies, as well as how they use social media to promote their environmental values, turning them into a competitive advantage. Doing one-concept interviews let us obtain an audiovisual brainstorming. During the last decade, the development of powerful analytical tools in the fields of molecular and population genetics, remote sensing and information technologies has facilitated a revolution in the study of evolutionary and ecological processes, and the time is ripe to facilitate their integration into ongoing management actions. 1. Why are evolutionary processes important for biodiversity? 2. How can they be incorporated into better management practices? 3. Which kind of research can help achieving that goal? - The improvement of the water system's ecological quality. - The conservation of the coastal ecosystems. 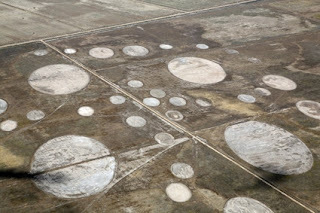 - An increase in the adaptation capacity to climate change. - The adapted use of water resources to future changes in the resource. - An improvement in the design and management of urban ecosystems. The participating researchers envisaged the process as a very positive action, assessing it as an open environment for the exchange of expert opinions and the development of an interdisciplinary product, widely cross-participated and efficient in structuring and progressing towards the elaboration of the recommendations. As a final product, it was elaborated an explanatory mini-documentary aimed at describing the stages of the process to a non-specialized audience. You can also watch the documentary at CIENCIATK, the platform for the dissemination of scientific-technical activities to citizens of the Spanish Research Council. Directed by Manuel Elviro Vidal and co-produced by the IMEDEA and Marexi Ltd.
Additionaly, you can watch a second documentary including more specific policy recommendations presented directly by the researchers, elaborated after one year of field studies aimed at the characterization of the Playa de Palma System at different levels: water quality, biodiversity, urban ecosystems, coastline and climate. Co-produced by the IMEDEA and Marexi Ltd.
Entrusted by the local environmental authority in this study I led an assessment of the environmental impact of ecological moorings in two locations at Formentera Island with a special conservation status (Ses Illetes beach and Estany d'Es Peix, Mallorca, Spain) as a previous step to a full Environmental Impact Assessment. Traditional models for the management of high seas fisheries have led, in general, to socio-economic crisis due to various factors such as the overexploitation of the resource, and the lack of flexibility, organizational learning and social participation in decision-making processes within policy making and planning. Scientific-technical management systems have failed to control overfishing, reduce environmental impacts and fully incorporate the scientific recommendations in which they were based. Despite the diversity of key stakeholders within fisheries management agencies, not all are included in practice nor are able to make collective decisions to ensure long-term economic benefits in a framework for sustainable development and the mutual recognition of certain legitimate interests (although, in many cases, conflicting or very competitive). 1. The participatory strategy for the management of on foot shellfish fisheries, top-down promoted by the Ministry of Fisheries and Maritime Affairs of the Regional Government ("Xunta de Galicia"), has proved very successful in organising harvesting regimes during the last two decades, in reducing social conflicts, in increasing local revenue and in reducing gender bias in decision-making. 2. The current policy for the creation of Marine Reserves of Fishing Interest, as a management tool aimed at increasing the sustainability of fisheries, which emerged in the artisanal fisheries sector, was bottom-up facilitated by the scientific community and subsequently supported by the Administration. In British Columbia, the processes of social participation in policy development and management plans for coastal fisheries (primarily salmon) also reached a highly refined development during the 70's, with the development and implementation of adaptive management theory . This management philosophy has being applied during the last three decades, standing as an innovative strategy in many other fields (e.g., in the management of forest resources, ecosystems or nuclear waste). 1. Develop a comprehensive review of the Galician ('top-down' and 'bottom-up') strategies for coastal fisheries management. 2. Develop an overview of the Canadian experience with adaptive management of coastal fisheries, with an emphasis on salmon fisheries in British Columbia. 3. Gather information about the role of science, stakeholder participation and institutional coordination in the process of policy formation in Canada and Spain, and identify potential synergies that could emerge from the cooperation between both countries. Supported by the TRANSAM Project and institutional analysis, I coordinated an action-research program carried out in the Doñana Nature Reserve between 2005-2008, in the context of (and funded by) the Hydro-ecological Restoration Project Doñana 2005 (1998-2006). The latter project, organised by the national authorities within the Reserve, was launched in response to the toxic spill at Los Frailes zinc mines located in Aznalcóllar (Seville, Spain) in April 25 1998, together with the Guadiamar’s Green Corridor project (1998-2002), organised by the regional authorities outside the Reserve. The Doñana 2005 project, aimed at restoring the hydraulic and ecological functioning of the protected marshland and wetlands, which got further deteriorated after years of withstanding intensive economic development in the surrounding region. Several actors recognised the project as a unique opportunity to introduce new modes of management and succeeded to start a pilot initiative based on adaptive management tenets. This initiative aimed at restoring an expropriated plot of marshland that had been transformed into farmland in the 1960s (“Caracoles” estate, 2600 ha). The adaptive management initiative at Caracoles was based on the recommendations of an external advisory panel of experts prior to the implementation of the restoration (Meffe et al. 2002, unpublished report). The initial design, based on the construction of experimental wetlands, included a short intensive action, coupled with a long-term monitoring plan, which aimed at implementing an alternative solution with the specific goals of ensuring long-term success, fixing adequate baselines (in time and space) as references, and focusing in patterns (e.g., biodiversity) and functions (e.g., productivity). The consulted panel of experts prescribed adaptive management as an alternative to the more classical approaches traditionally chosen on the ground. Their main aim was to overcome the main challenges, both ecological and institutional, that initially faced the Caracoles estate restoration project, which were not collectively posed upfront. Another goal was to avoid putatively-optimal solutions to ecological restoration (e.g., the identification of an optimal flooding cycle), and provide a strategy for sustained learning about the factors that enhance ecosystem resilience to variation in flooding cycles (e.g., diversification of the marsh spatial structure and wetland connectivity). Finally, a longer-term goal was to extend the knowledge generated through the management of the restored area to the management of the whole marshland/wetland area. For a detailed description of the program, its context and the institutional analysis carried out for supporting it, please see this article in Ecology and Society or my PhD thesis. By now, the need for addressing uncertainty in the management of water resources is widely recognized, yet there is little expertise and experience how to effectively deal with uncertainty in practice. In this workshop we used an approach where water managers developed criteria of relevance to understand and address uncertainties. The empirical research took place in the Guadalquivir estuary (SW Spain) making use of the method of card sorting. Through the card sorting exercise a broad range of criteria to make sense of and describe uncertainties was produced by different subgroups, which were then merged into a shared list of criteria. That way framing differences were made explicit and communication on uncertainty and on framing differences was enhanced. In that, the present approach constitutes a first step to enabling reframing and overcoming framing differences, which are important features on the way to robust decision-making. Moreover, the elaborated criteria build a basis for the development of more structured approaches to deal with uncertainties in water management practice. The TRANSAM (Transfer of Adaptive Management) project is a long-term research initiative launched in 2007 and currently ongoing at the Spatial Ecology Group of the Doñana Biological Station. The general aim of TRANSAM is to investigate the causes of the limited transfer of ‘adaptive management’ from Canada to the European Union (EU). Adaptive management constitutes one of the most promising approaches to overcome the current limitations of traditional, command-and-control management and policy making of natural resources and nature conservation, at both the operational and decision-making levels. It is an approach initially conceived and developed by C. J. Walters, R. Hilborn y C. S. Holling at the University of British Columbia (Vancouver, Canada) and the International Institute for Applied Systems Analysis (Vienna, Austria), during the 1970s and the 1980s. The aim was to create a robust tool for the management of natural resources while keeping a continuous interaction among stakeholders. Since its inception, adaptive management has been applied to a wide range of natural resources management and nature conservation problems worldwide, mainly in Canada, USA, Australia, New Zealand and, more recently, in some countries of the European Union. This has provided an accumulating body of knowledge that present it as a valid alternative to command-and-control, which may be considered instrumental for achieving sustainable resource use. However, after 40 years of development and (often) successful implementation in Canada, until the current decade it received limited attention in Europe – and even less in Southern Europe. The limited implementation of adaptive management in Europe contrast vividly with its widespread use in the Anglo-Saxon world (Canada, USA, Australia and New Zealand), bringing up questions on whether there are specific institutional, technical, scientific or even cultural traits of the societies across the Atlantic divide that prevent the dissemination of these seminal ideas. -To document the Canadian experience with adaptive management, with an emphasis on British Columbia. - To assess a series of case studies in which particular institutional developments allowed for the implementation of adaptive management initiatives for natural resources management and nature conservation. - To develop a deep understanding of both the concept and the associated process of stakeholder involvement, in order to inform and provide support for an action-research program developed in the Doñana region between 2005 and 2008 (see above). This habitat suitability study for the Bewick's swan (Cygnus columbianus bewickii ssp.) in the Netherlands was my first research work. It gave rise to a lifelong passion about science and discovering hidden social-ecological patterns and dynamics. 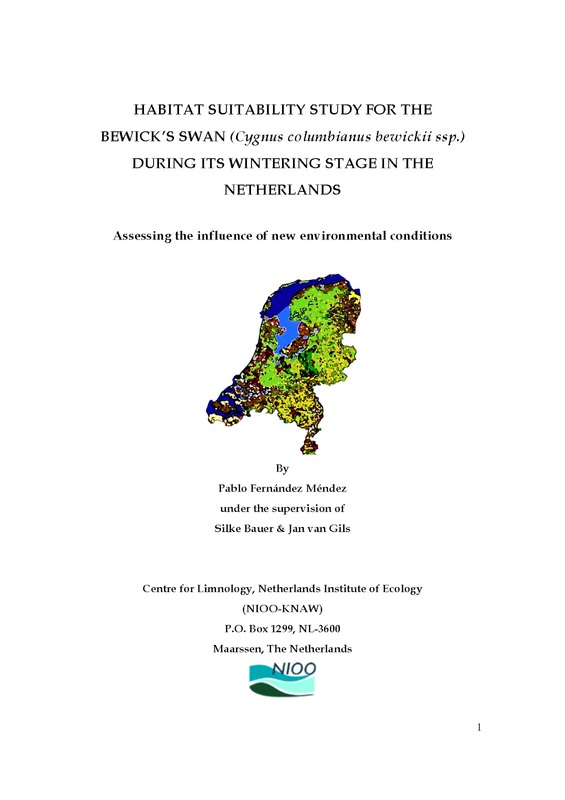 In this study, I analysed the influence of certain factors that could be potentially determining the spatial distribution of the Bewick’s swan over its wintering grounds in the Netherlands. In particular, the project aimed at an identification of the main agricultural environments used by the swan as feeding grounds, after food depletion in their main aquatic habitats. For that purpose, I selected land used for sugar beet crops and grasslands, which were their main food sources during the whole winter season, and presence of livestock, as potential predictor variables. Population distribution information was extracted from a long-term dataset collaboratively developed during almost two decades by scientists and birdwatchers using more than 375 marked individuals. Besides the ring code, information included site’s name and code, date, observer’s name and code, and, occasionally, extra details about habitat and food choice, social status and flock-size. Information about the bird's location was recorded using GPS. The population’s distribution information was linked to the agricultural and livestock variables (surfaces per municipality and heads of livestock per municipality, respectively) with the aid of GIS tools. Thereafter, I performed a multiple regression analysis that showed that surfaces of sugar beet crops and grasslands had independent significant contributions towards explaining the variation of the distribution. The study was performed as a general approach due to time constraints, but served as a robust guideline for more detailed spatial analyses in the future. A relevant conclusion of the study was that land and water management plans must include studies concerning the spatial requirements of migratory water birds that currently use agricultural habitats at any stage of their annual cycle.